RUTLAND — The disastrous 2018 election results for conservative Republicans and like-minded candidates has ignited a grassroots effort to strengthen the base and field new candidates for local and statewide office. While bringing conservative and libertarian voters together may sound a bit like herding cats, the stinging GOP defeat has created a new willingness among some members of these political groups to find a way forward. John de Bruin:“802VT Alliance has taken on the responsibility to ensure that conservative Republican or independent candidates meet certain criteria in order to be endorsed for political support.” Pictured: deBruin, right, and Terry Williams. When John de Bruin, a resident of Danby, founded 802VT Alliance on Facebook in mid-2018, he didn’t envision his movement of online grassroots activists ever moving out of cyberspace and into the Vermont countryside. But on Jan. 27, he hosted the first in-person meeting of the 802VT Alliance at the Rutland American Legion on Washington Street in Rutland City. At the meeting he welcomed 30 “community organizers” to take the group’s message into towns across the state. While the kick-off meeting had some of the markings of a new Vermont political party, de Bruin said the aim of the group is to restore constitutional control at all levels of government and not to form another party. He said that the alliance bases its support of candidates on voting records, for an incumbent, or political platforms, for first-time candidates. The initial objective of the group to influence the state election, according de Bruin, began last summer, before the Republican Party primary. He added that that the focus now must widen to include local candidates running for various offices down to the town level. “In addition to endorsing candidates, we want to unite like-minded voters behind the most viable candidates supporting liberty, free enterprise, free markets and personal responsibility,” he said. During last year’s campaign, the alliance endorsed its favored candidates with a medallion crest or “seal of political approval,” which could then be used with campaign advertising, brochures and social media pages. De Bruin wants to build the brand so the group’s imprimatur will mean something to candidates and voters supporting the group’s principles. De Bruin started the first meeting with the “pledge of alliance” and then launched into an explanation why the alliance is needed and how it will play a greater, more aggressive role in Vermont politics in the coming months. 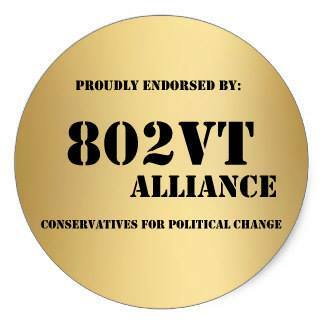 On its Facebook page, 802VT Alliance endorsed many limited-government-minded candidates in 2018. However, few succeeded with the low turnout among conservative Vermonters. “It was a huge mistake for the state GOP to put most of its money behind Phil Scott and we all know it,” deBruin said, adding that he was disappointed that the issue of gun control and S.55 didn’t lead to a stronger showing at the polls. 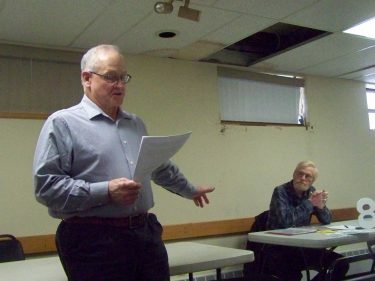 Three 2018 candidates who ran unsuccessfully were at the meeting to share their experiences and address the group of activists: U.S. Army veteran Terry Williams, a conservative Republican who ran for state senate in Rutland County; Archie Flowers, a Libertarian who ran for state senate in Addison County; and Republican U.S. Senate candidate Lawrence Zupan, who challenged Bernie Sanders. Also in attendance was Keith Stern, who unsuccessfully challenged Scott for governor in the Republican primary. He took part in some of the floor discussions at the meeting. Williams reported that he and a colleague counted 13 conservative and liberty-minded splinter groups in Vermont which, he calculated, include as many as 10,000 voters. “They’re spinning off into different directions — we need to get everyone pulling in the same direction,” Williams said. “So we need leaders to step up and lead. “The progressives must hope that we either die or go away, but I’ve never strayed from a fight. I think this is worth undertaking,” he said. Flowers, the Libertarian from Addison County, read the objectives of the Libertarian Party, which closely matched the goals of VT802 Alliance. Attendees at the gathering expressed concern over increasing gun control as well as conflicts of interest with the Vermont Attorney General’s Office. “He’s not upholding the law,” one member said regarding the attorney general. Another attendee said that the group should not endorse impeachments at the state level, suggesting that the process is too rare and unusual. When the discussion turned to the poor performance of “R” candidates, Terry Williams suggested, tongue-in-cheek, that conservative candidates might consider running as Democrats as a way to capture ideologically sympathetic Vermont voters who will only vote for candidates with a “D” after their names. Activist Bruce Busa, an independent 2018 U.S. Senate candidate from Readsboro, added that he and other citizens are angry that voters in Chittenden County have unfair advantages over most Vermont voters — namely, they get to vote for more state senators than in other districts. Busa noted that his plan is to draft a petition for next year’s Town Meeting Day to address this perceived political injustice. He hopes others will bring the same concern to their town citizens in 2020. Lawrence Zupan, who ran against Sanders last year, was the meeting’s final speaker. He included an assembly prayer and recited an appeal for prayer by Benjamin Franklin at the Constitutional Convention of 1787. Zupan also touched on several issues facing the state such as gun control, Act 250 and abortion, among others. He also expressed concern over the national drift away from strict interpretation of the U.S. Constitution as the Founders intended. “When I first heard the Constitution called a ‘living document’ I thought it sounded so nice, but then I learned that what the left means by this is that the Constitution can be manipulated, altered or even discarded,” he said. Concluding with a call for volunteers to sign-up for various VT802 Alliance organizational positions, attendees were charged with reaching out to their local communities to spread the “natural rights” and Constitutional principles of the group. They also encouraged everyone, of course, to stay connected on the group’s Facebook page. It warms my heart to see this group of mouth breathers come together to waste time. Vermont is not going to regress to the racist, bigoted state that you want people, but you are welcome to keep trying and failing. Can’t wait until you old racists croak. No racist in this group they only exist in your feeble imagination. The ONLY racists are the ones screaming racist….Where is your card Bernie? Just a note of correction. The VTGOP did not give money to candidates including Governor Scott. Not sure where that rumor comes from but it’s % false. They said the VTGOP put there money behind Scott not gave him money.. If people study the Smear, by Sheryl Atkisson (sp?) they will get a good understanding of the press problems. Rules for Radicals, gives out the fighting plan for DNC and other “community organizers”, that change their names with regular basis in this state. They have a massive, massive email list, which is expanded by so many seed “organizers”. Young people believe they are getting news feeds from moveon.org, democratic socialists, media matters and other arms of the DNC. They are a very, very tightly held franchise, which is also their weakness. They can not go off plan, most can not think for themselves and if they do, they are quickly brought back into the fold or replaced with a new candidate that follows instructions much better. You can predict with almost perfect accuracy what their next plan is because it’s all written out, same with their strategies. One word comes from Washington, the next day Leahy, Sanders and Welch are parroting the exact same words….ALWAYS. Then it goes down to our “mayors”, our majority leaders and others lower in the ranks. The other big weakness is they never want to solve the problem, division and fighting is their actual goal. The propagate an artificial war on women, pay, etc. The talk a big game about poverty reduction, but have in place plans that trap people in generation poverty that make them rich. They don’t want to solve environmental issues, they want their money. There are so many great ways to be better stewards, instantly with less regulation, they want nothing of it. They don’t value families, they don’t want us to be drug free….all their policies are counter to what they say and do, some on purpose, many with good intent, but unknowingly. By their fruit you will know the tree. Good trees bear good fruit. Bad trees don’t bear good fruit. Has Vermont become or are they planning any of the following solution? Affordable? Homes, good paying jobs? Good School system that is easy to understand and effective? We need to come together. We need some divine intervention to help us out of this mess. It was good to see Keith’s name in the mix, he’s a good man. When we called into VPR to ask questions, those that questioned some current wisdom in Montpelier were put on hold and never got on. When you looked at the debate questions, VT Digger, 7 Days….they were all the democratic platform. When we got questionnaires from the lobbyists, surprisingly they were all of the democratic platform. In working with Keith, he was familiar with the Gr3en Mountaine Partey platform. A friend of mine stated, the only thing the two parties can agree on, is they don’t want a third. Now the state told us different things when we were starting the party. One of which we needed so many signatures. Our area is in the bluest part of our deep blue state. We could get agreement from anyone on the left, anyone. We were welcomed with open arms about our ideas. Our platform was really what any conservative would want, any Kennedy democrat. In our district we ran against established/new democrat that teamed up together. Massive advertising and mailings like we’ve never seen. Paid for by PAC’s, Vermont Conservation Voters, who’ve shared board members with the VNRC. We got schooled. After loosing, a few days later…..said to myself out loud, should have run as a democrat. People aren’t in love with Phil, they didn’t want a complete DNC take over on the state, people inherently know something is wrong in Montpelier. There is so much wrong. We also have a 20 year propaganda arm, 40 years of indoctrination to our kids with lies about democratic socialism. This video from Yuri Bezmanov, really explains what is going on. It’s solution is not what one would first think. If you are familiar with the 7 mountains theory of bringing back a society, it goes along with what Yuri says. It’ also explains how two of the least “churched” states, Washington D.C. and Vermont struggle. Who’s worse? Who’s Sodom and who’s Gomorrah? We have information that might be very helpful. Our society has been indoctrinated to the point where if you say Trump, people will physically shake. If you say tax cut their mind turns off. If you say Republican they dismiss you as an idiot. When Yuri talks about taking over a country, his job, this is expected, he says people, smart people even when confronted with the truth will not change their minds…they fight to win the argument supporting the indoctrination. We’ve all experienced this thousands of times. Yet when we highlighted waste, everyone was behind us. Siimple changes and people wanted to side with us. Talk about VT leading the nation in Addicted births….got peoples attention. We don’t have the answers, but I can say we met so many great people in this state. We do need to cooperate and work together. Is the Republican Party that answer for Vermont? The ideals are great, the organization is so entrenched everybody is so entrenched in their stance, I”m not sure. There is MASSIVE censoring, omissions, out right lies, refusal to cover candidates in the press going on in this state. There is without question more propaganda than news coverage. Most people have no idea. Though not a citizen of your unique and gorgeous state, I sympathize with the remarks of several commentators about not allowing non-natives to destroy the character of Vermont. Just a word of warning. Whatever your state-specific issues, your biggest threat is immigration (illegal and “legal”). It has ruined southern California and is dismantling previously wonderful southeastern states such as Georgia. Of course it is in the process of forever “uglifying” cities like Portland and Lewiston Maine. Whatever the SJW’s may say to the contrary, third-world cultures will *not* enrich first-world cultures. Forcing the two together will tear down everything your noble forefathers and mothers built. Well, good, the Fascist wing has spoken…..
LEGAL immigration is not a problem. Labeling as “fascist” those who value and wish to preserve Western culture is the “argument” of someone who simply has no arguments, and so resorts to name-calling. “Legal” immigration contributes to the continuing destruction of the country, and people who declare it “not a problem” don’t seem to know much about it. Though I could give twenty examples of the harm that so-called “legal” immigration has done and is doing, I will give two out of my experience. Example #1: Most colleges and universities now have academic departments that approach 50 % immigrant. This is not because there are no United States-born Ph.D.’s fully-qualified and in fact better-qualified to do the job. As a Ph.D. in a STEM area, I have seen the steady acceleration of diversity hires and how this displaces indigenous United States scholars and lowers the standards for teaching and research. And this phenomenon is much worse in the social sciences. Example #2: In my metropolitan area in the Southeast, there are far more Asians and Africans working at highly-coveted USPS jobs than there are native-born individuals. Why should capable and eager men and women born in this country, whose great, great-grandparents built the country, be summarily excluded from these positions? You don’t care about such things? Perhaps you’ve not yet been personally affected by them. Until you are, just keep on “SMFH”. I’m all in and it’s about time. I will say this again with emphasis, it’s the Vermont media where a lot of this battle must be fought. vtdigger is one of the most read websites in the state. Not one conservative is employed there. In the comment section they censor conservatives and give free reign to liberal comments. It is very frustrating. Then you have VPR, NPR, WDEV, WCAX and others that have all signed on to the leftist movement. Young people gravitate to their smart (dumb) phones to read headlines that trigger their feelings never bothering to find out if there is any truth to what they read. The media must be held accountable to balanced news, presenting both sides and not just another wing of the democrat/progressive party. The next thing is pointing out that grandpa’s democratic party is dead and has been replaced by out of state progressives wealthier than average Vermonters 3 fold. They are here to control and socially engineer this state and it’s people.The one comment in the article that almost makes sense is that the only way we can convince these people who vote for democrats because their father did is to tell them we are democrats. Twenty three (23) of Vermont’s 30 senators are not from Vermont. It goes back to the media. I think good old fashioned petitions about restructuring the senate should be put old in all the local stores and gathering places for people to see and sign. There is so much that needs to be done to Take Back Vermont and we need to start now. The only reason Phil Scott is governor is because he made liberals happy with his unconstitutional gun bills and now he is powerless. I truly hope this is the start of something that would make Ethan Allan proud! I think good old fashioned petitions about restructuring the senate should be put out in all the local stores and gathering places for people to see and sign. This site needs an edit feature! Way too late.Vermont is bordering on going communist.The people that vote for all these democrats are voting for their very survival.Without the benefits the democrats bestow upon them,they know they are sunk. Not much to be made as far as a living in Vermont,unless you’re a plumbing and heating guy.These democrats make their big money in New York and Boston,then create their posh estates in Vermont.They don’t want any inklings of industrialism encroaching on their little kingdoms,and that will leave Vermont natives forever in economic depression. He who has the gold makes the rules,and it ain’t you. Gerald, hit the nail. Sorry to be a Debby Downer, but he’s got it right. Unless you’ve already got the money in VT your in for a life of stagnation. I saw no light at the end of the tunnel in VT when I lived there, which is sad. When I was there in the 80’s and 90’s it was much more vibrant for sure. After that it just continued it’s downward progressive spiral. 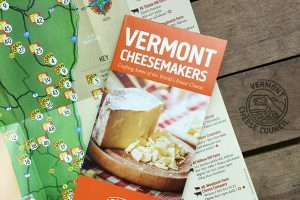 I hope this continues to grow, Vermont has needed something like this for many years. As noted below, I do not believe Facebook will be a particularly effective way to reach the elders, but it most likely will reach the younger folks who seem to support the crazies in Montpelier. Who knows, maybe they can be educated. Hi Mike-I hardly do Facebook as you stated being “elderly”, But I have an active mind and seek knowledge for which I disperse and inform my (50’s kids). Facebook is a crap messaging site, not informative. 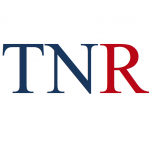 So many great sites to access like WND, Western Center for Journalism , TNR, Newsmax, Daily Mail, Canada Free Press, Heritage Foundation, The Hill, One America News Network (OANN), AM radio programs and Liberal sources (for balance). In VT The Caledonia Record paper, The Shopper Journal (free-from Ludlow) is good, etc. 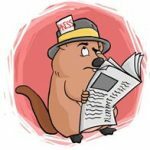 These sources pretty much eliminate Fake News and biased articles. This era is mind-boggling as to what’s happening. Before I croak, trust my contacts prove positive. My classmates and Air Force buddies all agree, very supportive. In the 50’s we had the best of times. Seems this state went to the dogs when I-91 came to being, more Flatlanders. Many good points in the article. I’ve been harping concerns about the top heavy bunch of legislators in Chittenden Country for some time now, the evil base in VT. I certainly hope this movement becomes similar to Paul Rever’s ride telling all “the British are coming”. In this case the British (liberals) are here. Time to alert that there’s a movement of put down citizens of VT to rise and create a Revolution to outs the Flatlander Liberals that have taken over the once-great-state. Do it the style of Ethan Allen, without firing a shot, but with a collective determination and a basic purpose that solidifies continued / pressured opposition. Sen Benning & Ashe, Sirotkin has introduced S 11 to limit Senators to 3 per county (the first web site), In my opinion it should be two max alike the US (per state). There are 62 bills (so far noticed) introduced this Legislative session, only a few are common sense, rest is “feel good crapology”. Nothing like making a job for yourself if in Government. And collecting a taxpayer funded salary, falsifying per deim pay (as another TNR article illustrated). NH Legislators have to present actual expenses-receipts. Thank you. This is something badly needed in Vermont. Facebook is not the way to go because too many times messages have been suppressed by liberal higher ups. Email is the best way to go because us older guys put more trust in email than in Facebook. Until Vermont’s Conservatives and Republicans get behind our Republican President Donald Turner, why waste your vote? Trump! I mean Trump! I don’t think Don Turner is president. there’s a lot of us out here !! Here, here. There are a lot of us that don’t use Facebook but email regularly. Many of these groups rely on Facebook and websites which a good majority will not use. 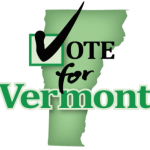 Many thanks for the support, we need every Vermonter for a change. Very soon there will also be a website with much more information.